"Call me" is a brand new gritty PEAR song. The song is written because of a demand for rough guitar music for games. And it's going to be used in a world wide, cross platform action game released in november/december 2015! 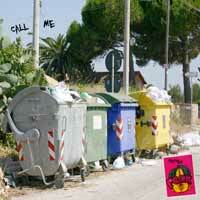 "Call me" was selected and used in the game Snowboard Party 2. by RadRod Studio's (Canada). Released in november 2015.